Miss Alma Kaiser of Phillipsburg, and Vernon Eltiste of Overton, Nebraska, were united in marriage Wednesday afternoon, February 5, at 4 o'clock, with Reverend Kraus reading the marriage vows. Miss Kaiser is the daughter of Mr. and Mrs. John Kaiser of Phillipsburg, and has been active in 4-H Club work in Phillips county. The bride was attractive in an afternoon dress of navy blue crepe, worn with matching accessories. Mr. Eltiste is the son of Mr. and Mrs. Paul Eltiste of Overton, and was a graduate of Overton High School. 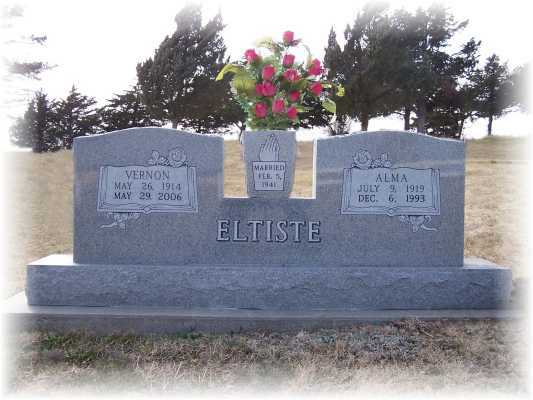 Mr. and Mrs. Eltiste are located on a farm near Sumner, Nebraska. Alma S. Eltiste, 74 of Lexington, died Monday, December 6, 1993, at Tri-County Hospital. Visitation will be Wednesday from 3-5 and 7-9 p.m., at Reynolds Love Funeral Home in Lexington. Services will be 2 p.m., Thursday at the Evangelical Free Church in Lexington with Pastor Al Cole officiating. Burial will be in the Odd fellow Cemetery at Sumner. She was born July 9, 1919, in Phillipsburg, Kansas, to John and Maggie (Fink) Kaiser. She grew up and attended school in the Phillipsburg area. 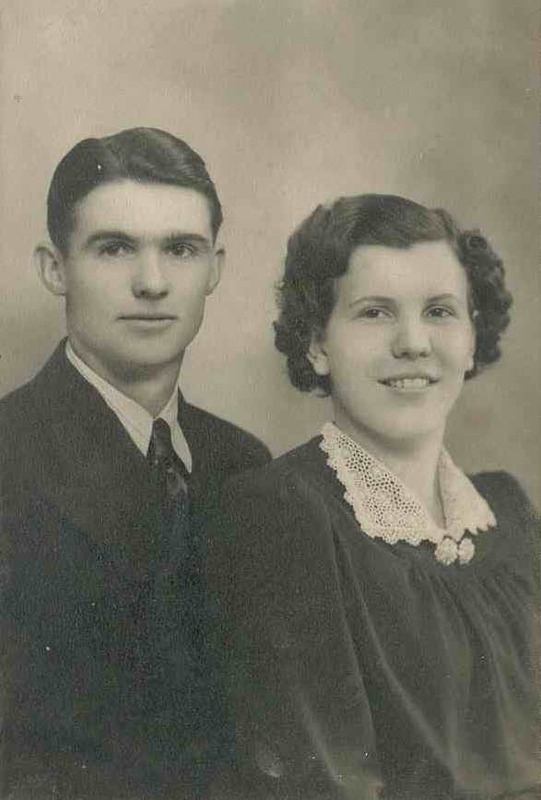 She married Vernon Eltiste on February 5, 1941, in Phillipsburg. They moved to the Lexington – Sumner area where they farmed and ranched. Mrs. Eltiste was a member of Fairhaven Baptist Church, Triple F Club at the Church, Lexington Community Concert Association, Town and County Garden Club and Cosmo Pals. 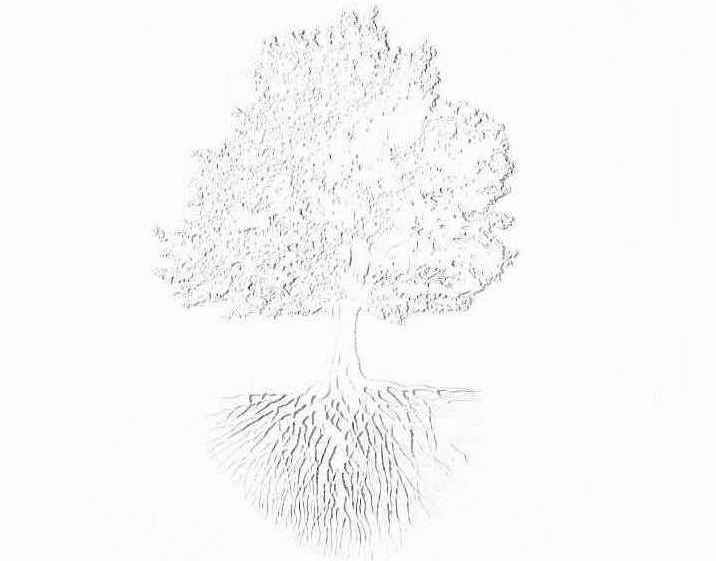 She was a master gardener and was lecturer for Weight Watchers for several years. She is survived by her husband, Vernon of Lexington; two sons, Howard and his wife, Catherine of Holdrege, and John and his wife, Kathy of Omaha; four grandchildren; and a great-grandchild. She was preceded in death by two brothers, John and Edward; and a sister, Alwina. Memorials may be made to Fairhaven Baptist Church or the donor’s choice.